If you are engaged in the trucking business, whether you own a few units or a whole fleet, you are aware of the many risks you are exposed to. If any one of your truck encounters a roadside incident that alone can already hamper the flow of your operations. It may be an incident like your truck being hijacked or stolen. It could be worse like your truck being involved in a freak accident like a car crash. You don’t only worry about the vehicle but the driver and other passengers inside. You may have to end up paying for the cost of their medical bills because of the incident and this could create a huge hole in our pocketbook. Though people say accidents do happen and they are unavoidable, it doesn’t mean you don’t have to take an extra ounce of caution. Hiring the best and most disciplined drivers can help reduce your risks for unwanted incidents. Keeping your trucks well maintained before they roll out on the road is another way to reduce your worries about vehicles stalling or breaking down in the middle of nowhere. But the best way to prepare yourself for the unnecessary expense of roadside mishaps is to get a commercial trucking insurance coverage for your trucks. This type of insurance typically works like any kind of insurance but it is specifically programmed to the specific needs of a building materials truck operator. Insurance will cover the cost of your expenses when you encounter theft and accidents with your trucking operation. Financially this will be a big help to your business since you won’t worry about where to get your funds to cover for these sudden expenses when they do arise. You don’t have to worry about the expensive cost of the insurance premiums. 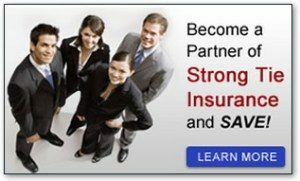 You can ask for a quote for cheap commercial truck insurance from a reliable company like Strong Tie Insurance. The truck insurance offers coverage for the following types of commercial haulers: intermediate, local and long haul truckers; dump trucks; auto haulers and tow trucks; and dry freight, containers, reefers, lumber, hazardous haulers and others. Getting some sort of insurance coverage for your trucking fleet is also necessary to comply with the state requirements for your trucking operations. Top caliber insurance companies like Strong Tie Insurance are familiar with these requirements and will ensure that you are compliant with the state regulations. Their customized insurance packages will leave you will little to nothing to worry about when it comes to insurance coverage. They also provide comprehensive solutions that are tailor fitted to your specific preferences and needs. In general, their insurance coverage gives you coverage options for motor truck cargo, general liability, physical damage, excess liability, trucking workers compensation and others. For a very affordable rate of $149, you can already avail of their Annual Road Side Assistance coverage. The company also has a unique Specialty Trucking Insurance program. If you want a free quote, visit their website.